Brian Howard was recently interviewed on CareerMetis discussing his book, Motivated Resumes and LinkedIn Profiles. You can listen to the interview on the CareerMetis website, as well as YouTube, and SoundCloud. 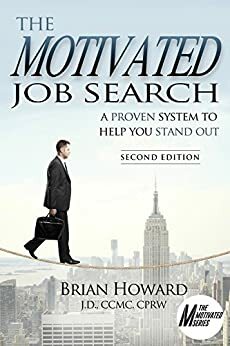 This is the fifth book in the Motivated Series of job search books. Other books in the series include: The Motivated Job Search, The Motivated Networker, The Motivated Job Search Workbook, and Over 50 and Motivated. You can purchase Motivated Resumes and LinkedIn Profiles, as well as the other books in the series, on Amazon.